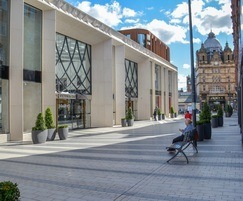 Victoria Gate is one half of Victoria Leeds; a shopping district recognised as one the premium shopping destinations in the North of England. 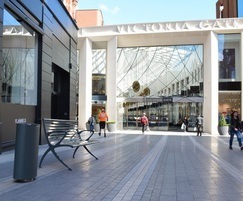 The award-winning Victoria Gate opened in October 2016 and is a modern interpretation of Victoria Quarter, paying homage to the surrounding architecture. 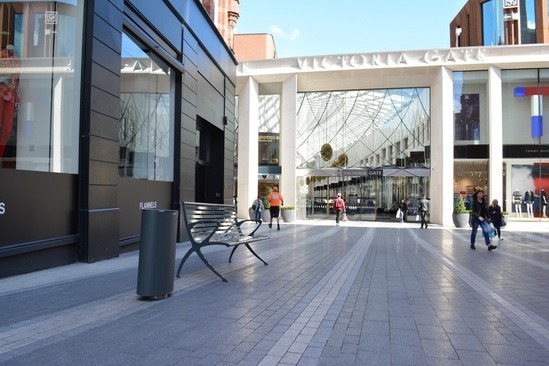 Victoria Gate brings together brands such as Anthropologie, The White Company and Aspinal of London, in addition to being home to the largest John Lewis store outside London. 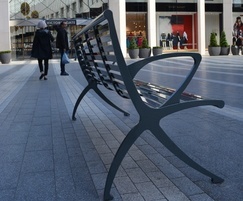 Artform Urban was asked to supply a mixture of street furniture items to the prestigious city centre development, with the initial specification being produced by ACME Architects, London but the majority of the dialogue and final decision was directly with the client's project management team. Samples of all materials and finishes were supplied to ensure that the client and team were comfortable with the final proposal and furniture elements. 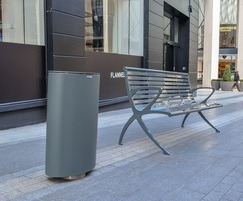 Parc Vue seats, with and without armrests, Loop cycle stands and Spencer litter bins were specified. Artform also provided a full supply and installation service on this project. 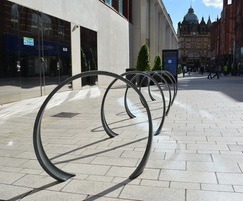 The traditional seating and cycle stand designs were pivotal in the selection process, ensuring that they integrated with the timeless character of Victoria Gate. The distinctive diamond-shaped latticework covering the roof of the complex is echoed in the Parc Vue seat and the Loop cycle stand, making them the perfect addition to complement this impressive architectural structure. 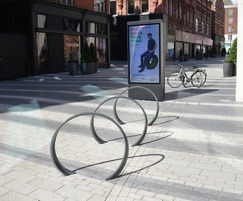 The result has encouraged bicycle use and reduced congestion and provides a space for visitors to rest and contemplate without compromising on the aesthetics of the surrounding structure.